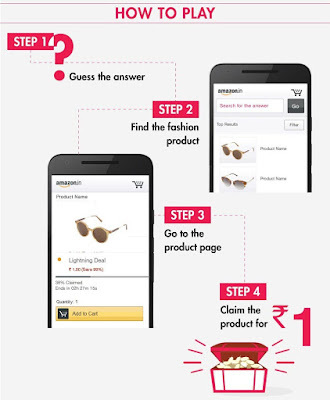 How To Get products at 1 rs. This Promotion will be available beginning 11:00 am and ending 2:00 pm on 17th June 2016 (the "Promotion Period"). 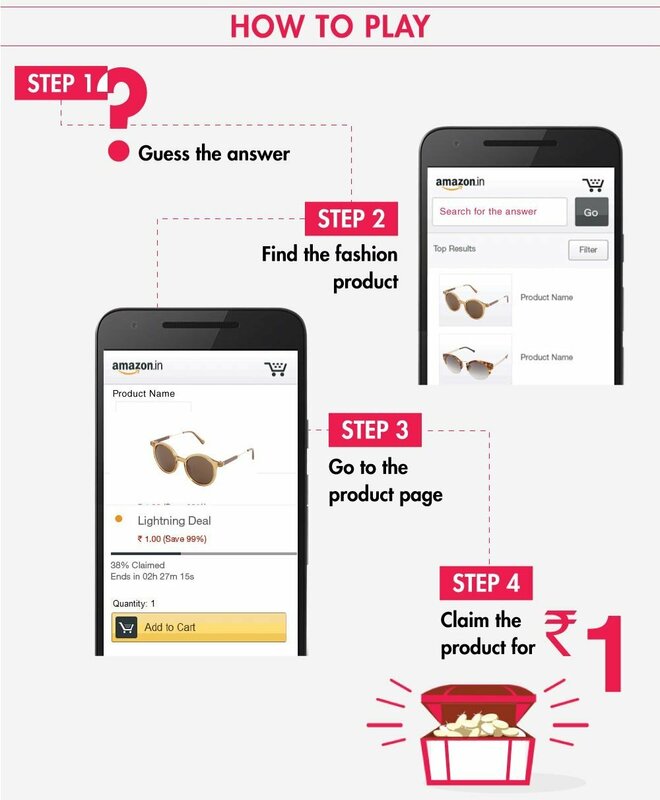 During the Promotion Period, at an interval of every 15 minutes commencing from 11:00 a.m. until 2:00 p.m. of such day, Amazon will be displaying a clue to a product listed on the App (such product hereinafter referred to as "Product") on the Promotion page of the App.